Trees grow more evenly and become healthier as time goes by when they are pruned with care and precision. 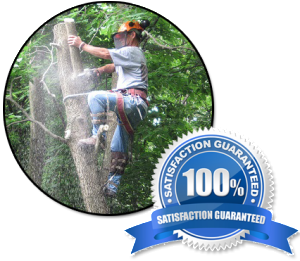 Our tree surgeons in St. Augustine FL are experts in all types of tree trimming services. We know the right methods to help you maintain your trees and trim them to the particular shapes that are most pleasing to you. TREECO tree trimming service in Jacksonville FL offers just the help you need to keep your trees in good condition and looking gorgeous. Older trees need to be trimmed regularly to remove dead branches. We can thin your trees by removing branches too near the ground or branches in the crown of the tree that is causing the tree to be too dense for healthy growth. Safety also becomes an issue when trees are so dense they of present too much resistance to the wind, causing tree damage during storms. We take care of all these issues to keep your home, your yard and the trees themselves safe and worry-free. You should never attempt to trim any trees or vegetation that are near power lines. When working outdoors, it’s important to check that the tools and ladders you are using do not come within 10 feet of any power lines. If power lines are too close, it’s time to contact our professional tree trimming service to avoid the possibility of serious injury. TREECO professionals are power line safety certified and equipped to safely trim trees in this precarious situation in St. Augustine and Jacksonville. Young trees need pruning, too. Young trees often grow branches near the ground that need to be removed to build the structure of the tree in the most advantageous way for long-term tree health. Our tree surgeons and certified arborists can cut branches to enhance your view or even create beautiful topiary shapes. We can also take care of tree trimming tasks like cutting back trees that are too near utility lines or hanging over buildings on your property. You can depend on TREECO to provide tree trimming services with reasonable costs. We help you understand and decide what tree services you need in a courteous and helpful way. Our tree trimming services in the Jacksonville and St. Augustine area make it possible for you to have the most beautiful, luxurious trees you can imagine. TREECO is one of the best customer choices when it comes to tree care service. we also offer comprehensive services such as stump grinding, debris removal, general upkeep & tree removal St Augustine & Jacksonville, FL. Get started today with our professionals. Need a Professional Tree Trimming Service?